I have officially completed my first ever "Great Backyard Bird Count!" I was a little disappointed that some of my regular birds didn't show up. Both my ruffed grouse and red-breasted nuthatch didn't come by at all during the count...but of course today I saw them both! Buggers! 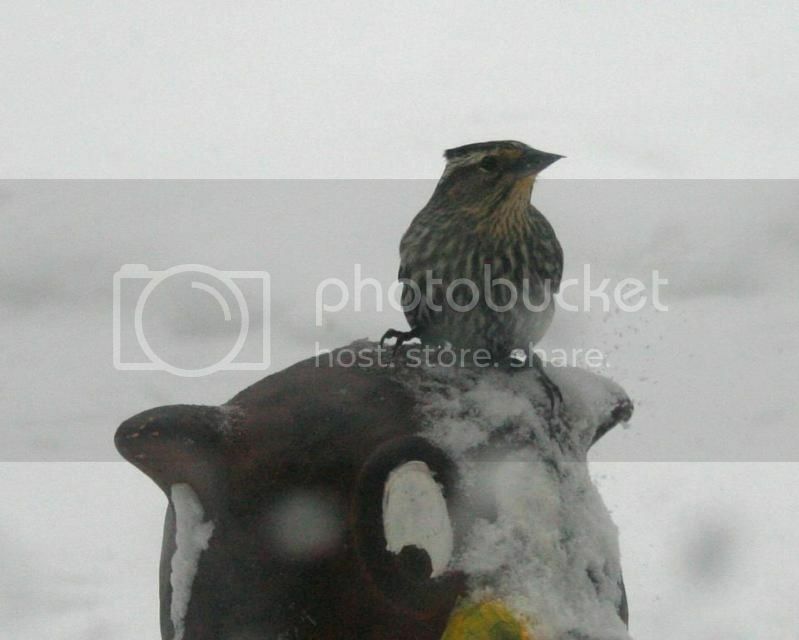 I did have one new visitor, a female red wing black bird. She visited throughout the day on Monday. It's a bit early to spot a female RWBB, so I hope she has fared out out since she left. I really enjoyed participating. It was really good practice for identifying birds in the field. It was also great exercise! I normally hate going outside in the winter time, but going out to find birds was really enjoyable!